To commemorate the birth of the royal baby, Brockham Baby & Toddler Group thought it would be a fun idea to replace bunting with babygros pegged up on a giant washing line around Brockham Village Green. Over the past few weeks, members of the community have been donating bags of unwanted babygros. These will be used to decorate the Village Green for Brockham’s Village Fair on the weekend of 20 July. The date falls close to the expected arrival date of William and Kate’s baby, and this was thought to be a great way to help Brockham residents mark the new arrival. The Group is busily collecting babygros and hopes many more will be donated before the event. After the event, the babygros will be donated to charity. 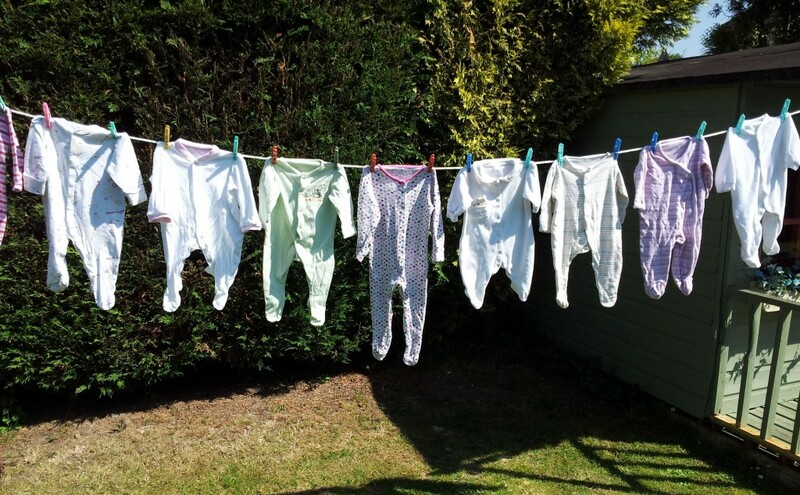 If you have any unwanted babygros that you’d like to have included in potentially the longest washing line of babygros ever, please feel free to email us info@bbtg.org.uk to arrange a handover. We are delighted to have been voted a Netmums Favourite by local mums!